October 2018, Guangzhou, China – KLC International Institute (KLCII) received a boost for its reputation in adult education in the region when its Vice Principal of KLCII was invited to share her views on Chinese Language education in Singapore at an international forum in China. Speaking at the 2018 Guangdong 21st Century Maritime Silk Road International Expo, Dr Chen Shi pointed out that the sustained and rapid development of China’s economy has encouraged many people in Singapore to learn Chinese. “More and more families are paying attention to Mother Tongue Language or Chinese language learning, reflecting the educational trend in Singaporean society,” she said. With increased close cooperation between China and its belt and road partners, communicating in Chinese language during business discussions and negotiations has increased significantly. 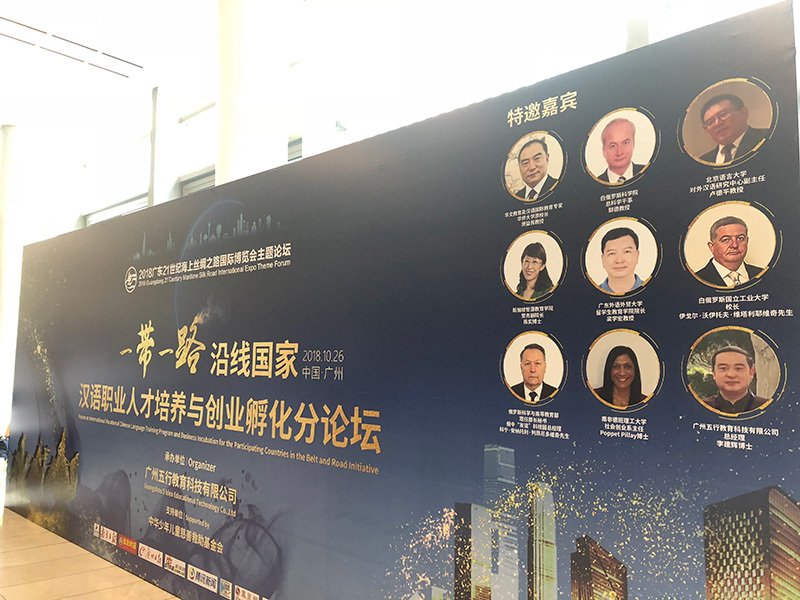 This prompted the hosting of the forum at the Expo with the aim “to build an international practical Chinese talent incubation chain” to provide support for Chinese professional talents involved in the construction of the “Belt and Road” infrastructures. More than 160 professionals from the education, science and technology and business circles at in China and abroad gathered together to discuss topics such as the training needs for professionals and support workers in projects along the “Belt and Road”. Notable speakers included Konin Anatolii, Secretary of the Russian Ministry of Science and Higher Education, and Professor Jia Yimin, an expert in Chinese international education. Professor Jia is also KLCII’s senior consultant for Chinese Language Teaching. This Silk Road event is one of several important international conferences and seminars to which KLCII’s academic team has been invited to speak in recent years.